Bellofox presents these latest Charleston Sunnies sunglasses Stylish Fancy Party Wear Tinted sunglasses for Girls & Women. These sunglasses are easy to wear, light in weight & gives you a rich look. A The color complements all outfits & may be worn as a statement piece to any occasion. Bellofox is a well known brand across fashion sunglasses sector. Bellofox products are preferred by many designers, stars and celebrities. Bellofox fashion sunglasses believes in making beauty and fashion a part of everybody's life. 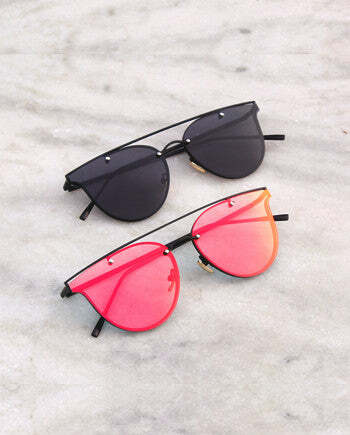 These sunglasses are also ideal for birthday gifts for girls, wedding gifts and anniversary gifts. perfect for all occasions. Bellofox presents these latest Candy Candy sunglasses Stylish Fancy Party Wear Frameless sunglasses for Girls & Women. These sunglasses are easy to wear, light in weight & gives you a rich look. A The color complements all outfits & may be worn as a statement piece to any occasion. Bellofox is a well known brand across fashion sunglasses sector. Bellofox products are preferred by many designers, stars and celebrities. Bellofox fashion sunglasses believes in making beauty and fashion a part of everybody's life. These sunglasses are also ideal for birthday gifts for girls, wedding gifts and anniversary gifts. perfect for all occasions. Bellofox presents these latest Darla Sunnies sunglasses Stylish Fancy Party Wear Rectangle sunglasses for Girls & Women. These sunglasses are easy to wear, light in weight & gives you a rich look. A The color complements all outfits & may be worn as a statement piece to any occasion. Bellofox is a well known brand across fashion sunglasses sector. Bellofox products are preferred by many designers, stars and celebrities. Bellofox fashion sunglasses believes in making beauty and fashion a part of everybody's life. These sunglasses are also ideal for birthday gifts for girls, wedding gifts and anniversary gifts. perfect for all occasions.